The Danger of a Single Story”, which has resonated with me immensely every time I read it. “Power is the ability not just to tell the story of another person, but to make it the definitive story of that person. 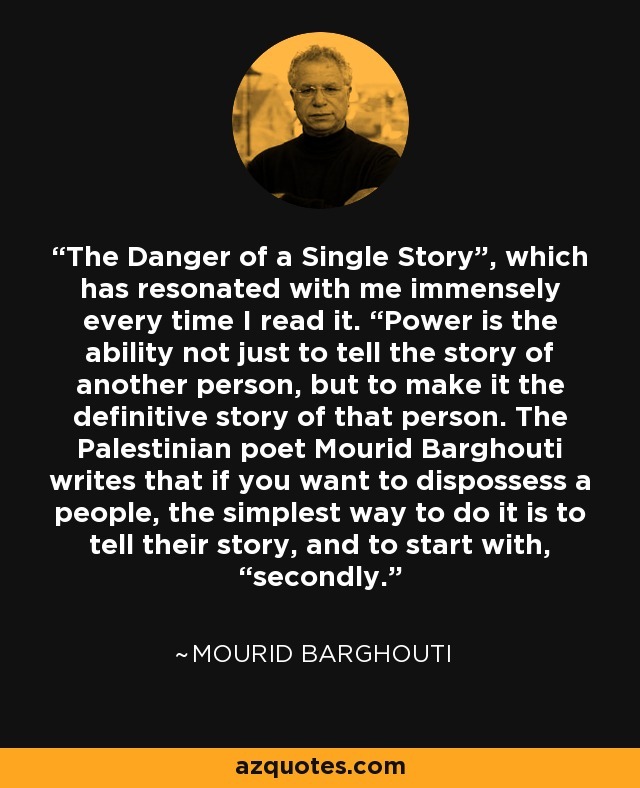 The Palestinian poet Mourid Barghouti writes that if you want to dispossess a people, the simplest way to do it is to tell their story, and to start with, “secondly.